← Success on the ice for 2 young homeschoolers! Why we should be inspiring learners rather than pushing for results! If you feel that the current education is failing children badly in the academic and morality aspects, you might want to do something positive and proactive about it. Complaining and lamenting get you nowhere. Why not come and learn how to inspire learners so that they may learn with inspired purpose and drive? There are still spaces left to be part of our small group of education hackers eager to share our visions and insights in nurturing inspired learners so that the learning process and outcome become more than what you can possibly imagine – because we believe in the magic that an inspired mind can create! 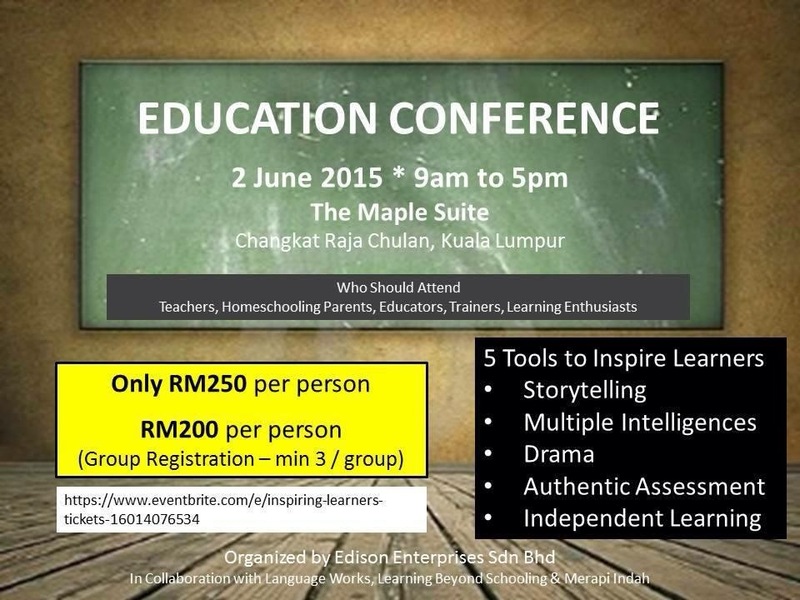 KV and I will be sharing our thoughts and experiences on how to nurture inspired and independent learners through the spirit of unschooling.